Dan Salah has considerable experience providing consulting services for an array of complex litigation issues. These include breach of contract, fraud, patent and trademark infringement, theft of trade secrets, wrongful termination, unjust enrichment, and unfair competition. 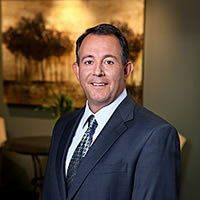 His consulting experience spans industries such as wireless communications services and devices, semiconductors, computers, software, network equipment, e-commerce, financial services, pharmaceuticals, and medical devices. Mr. Salah has been the designated expert witness and delivered testimony regarding breach of contract, fraud, wrongful termination, and patent infringement. During a professional career that spans nearly 30 years, Mr. Salah has held senior positions in both industry and consulting. He has served as a vice president of a national management consulting firm, and as the executive director of strategic and financial planning at SBC Communications (now AT&T). Mr. Salah has also achieved success as an entrepreneur, growing a small business to $50 million in annual revenue over a nine year period before selling it. In addition to his work with LitiNomics, he currently serves on the business and accounting faculty at De Anza College in Cupertino, California. Mr. Salah earned his BA in Political Economy from the University of California, Berkeley and his MBA from the Wharton School of Business at the University of Pennsylvania.